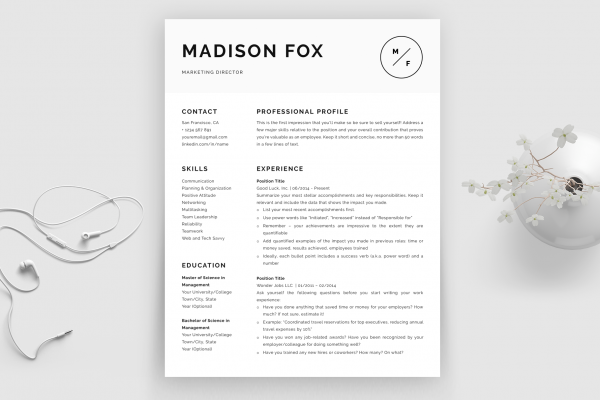 From the first words in your profile section to your glowing references, let potential employers know that you’re the one they need. 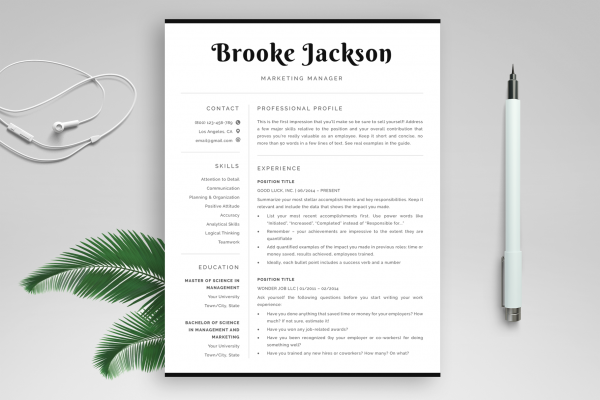 Modern and sleek, “Eric” resume template has a circular section where you can place your own photo and make a memorable impact! 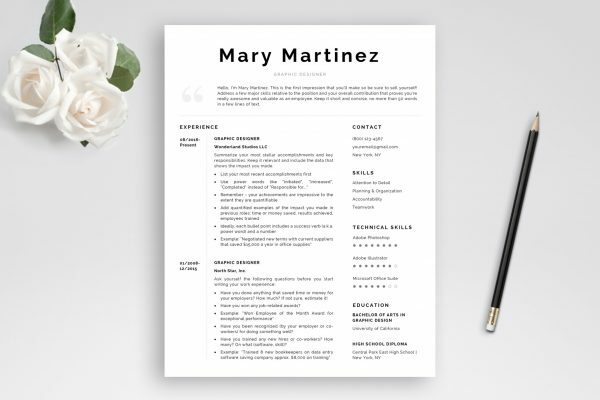 This rich package includes complete 1- and 2-page resume templates, matching cover letter and references templates, matching business card templates, detailed instructions, resume writing guide prepared by HR experts, and a ton of tips and tricks to help you create an outstanding resume!